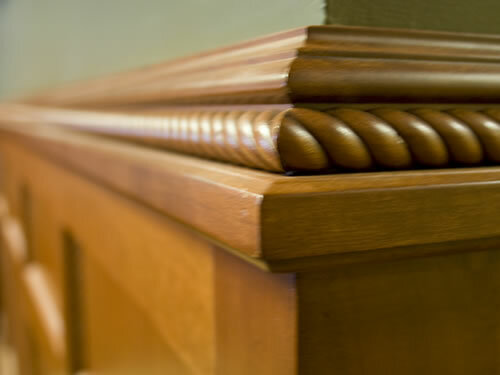 Additional Services - Services - Wood Components offers quality curved and arched moldings, lineal trim, and specialty millwork for commercial contractors and home builders, plus wood and plastic OEM parts and components for manufacturers of machinery equipment. 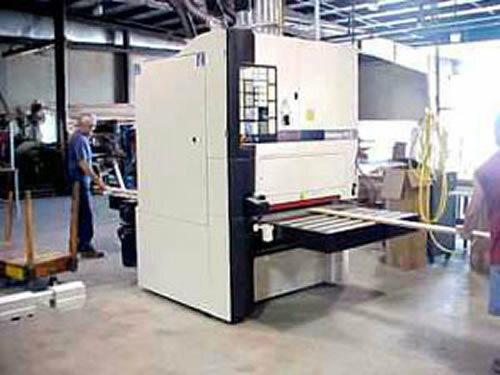 Our CAD specialists can interact with your designers to ensure seamless production capability. 2D designs can be engineered at Wood Components for a modest fee if you do not have CAD capabilities of your own. Wood Components has planing and wide belt sanding capabilities for achieving a smooth flat finish often with one or two passes. Our Sandya 10 RCS planer/sander can surface panels up to 42" wide using a rotary planer head followed by two full-width sanding heads. Contractors particularly enjoy the ease at which S4S boards and flat moulding can achieve final sanding within a single pass. The results are far superior to hand or power sanding and much less costly. 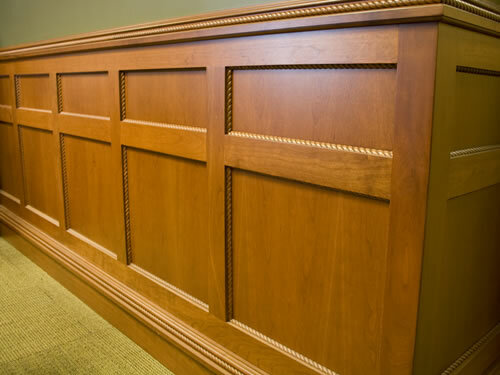 Our specialty department is capable of producing accessory millwork items such as solid panels, stair treads, mantel parts, bar and table tops, dentil moulding, corbels, rectangular balusters, rosettes, plinth blocks, and many others to match our customers' requirements. Wood Components has developed working partnerships with companies producing complementary items and services such as turnings, interior doors, and pre-finishing. Coordination of these services by Wood Components saves you time and hassle with a finished product delivered on your schedule. Consult our staff for full details on any of these services. Whether you are in the market for a quick prototype, limited production runs, or supplementing manufacturing capabilities, our additional services may be the answer for your search. Our goal is to make your projects successful for you and your customers.